This week, I’m attending a few days of training in agile software development, in an Innovel course titled Lean, Agile and Scrum for Project Managers and IT Leadership. My first exposure to agile was in Desiree Sy‘s 2005 presentation, Strategy and Tactics for Agile Design: A design case study, to the Usability Professionals Association (UPA) annual conference in Montreal, Canada. It was a popular presentation then, and UPA-conference attendees continue to be interested in agile methods now. This year, at the UPA conference in Portland, USA, a roomful of usability analysts and user-experience practitioners discussed the challenges that agile methods present to their practice. One of the panellists told the room: “Agile is a response to the classic development problem: delivering the wrong product, too late.” There was lots of uncomfortable laugher at this. Then came the second, thought-provoking sentence: “Agile shines a light on the rest of us, since we are now on the critical path.” Wow! So it’s no longer developers, but designers, usability analysts, etc, who are holding up the schedule? During this week’s training, I’m learning lots while looking for one thing in particular: how to ensure agile methods accommodate non-developer activities, from market-facing product management activities, to generative product design, to early prototype testing, to usability testing, and so on. I’m starting to suspect that when agile methods “don’t work” for non-developers, it’s because the process is wagging the dog (or that its “rules” are being applied dogmatically). I think I’m hearing that agile isn’t a set of fixed rules—so not a religion—but a sensible and flexible method that team members can adapt to their specific project and product. In early June, in a hotel lobby, I stopped to observe someone troubleshooting a wireless connection. I’ve faced this challenge myself, since every hotel seems to have a slightly different process for connecting. The person I was observing was visually impaired and had his GUI enlarged by about 1000% or more. As he attempted to troubleshoot his wireless connection, he was very rapidly scrolling horizontally and vertically in order to read the text and view the icons in the Wireless Connection Status dialog box. The hugely enlarged GUI flew around the screen. His screen displayed only a small portion of the total GUI, but he never lost his place. In contrast, I lost my place repeatedly. I couldn’t relate the different pieces of information, so what I saw was effectively meaningless to me much of the time. His spatial awareness—his ability to navigate quickly around a relatively large area—was clearly more developed than mine. I could not keep up with all of the text, either, even when he was reading it to me out loud: “It says ‘Signal Strength” is 4 bars, but it won’t connect. See?” (Well, actually, I didn’t see.) Though I’m very familiar with this dialog box, I could only read the shorter words as they flew by on screen. The larger words were illegible to me. His ability to read rapidly-moving whole words when only parts of them were visible at any given instant was much more developed than mine. I felt sheepish about being functionally illiterate under these conditions. It was interesting to see how my own user performance depends on such a narrow range of conditions. I need to see the whole word and its context. 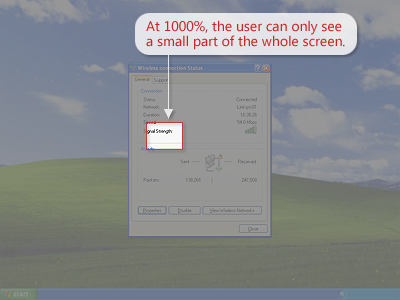 I need to see at least half the dialog box at once. And, if the image is moving, it must be moving slowly. 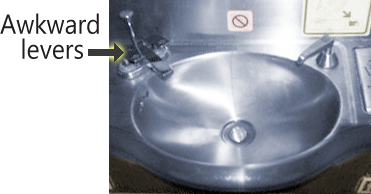 The water only flows while you press the lever—one lever for cold water and one lever for warm water. It takes one hand continuously pressing to make the water flow. Rinsing one hand without the help of the other hand is difficult. Rinsing soap off is much easier when two hands do it together. Some of the newer Boeing aircraft—like the 787 Dreamliner—may have better taps, but I’ve never been on one. An aircraft lasts decades, so passengers will be using those old sinks and taps for years to come, on Boeing planes. Airbus planes, on the other hand, have had ergonomic taps for years: one press starts the water flow, leaving both hands free for soaping and rinsing. After a fixed duration, the water stops flowing, but you can always press again to restart the water. While I’m pointing out usability problems in the airline industry, Airbus doesn’t have clean hands. On the Airbus web site, type a word in the Search box—the word bathroom, for example—and then press ENTER. Nothing happens. The ENTER key doesn’t start the search, but a mouse click does. It’s ironic. A design that requires me to move a hand from the keyboard to the mouse is a lot like design that requires me to move a hand from the sink basin to the lever. Is this a meaningful win? 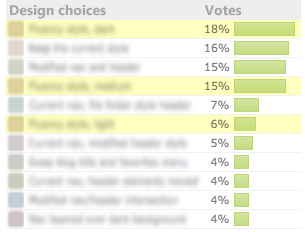 The leader only barely beat the next three designs, and 82% voted for other designs. I don’t know about the 18% versus 82%. I do wonder whether some of the entries triggered a cognitive process in voters that caused them to pay less attention to the other designs, which may bring the leading design’s razor-thin lead into question. This cognitive process—known as the “ugly option”—is used successfully by designers as they deliberately apply cognitive psychology to entice users to act. I’ll explain why, below, but I first want to explain my motivation for this blog post. 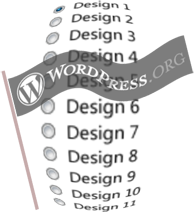 I’m using this WordPress poll as a jumping-off point to discuss the difficulty of survey design. I’m not commenting on the merit of the designs. (I never saw the designs up close.) And I’m certainly not claiming that people involved in the poll used cognitive psych to affect the poll’s outcome. Instead, in this blog, I’m discussing what I know about cognitive psychology as it applies to the design of surveys such as this recent WordPress.org poll. If you’ve heard of the controversial Florida butterfly ballot in the USA’s presidential election in 2000, then you know ballot design—survey design—can affect the outcome. I live outside the USA, but as a certified usability analyst I regularly come across this topic in industry publications; since that infamous election, usability analysts in the USA have been promoting more research and usability testing to ensure good ballot design. I imagine that the Florida butterfly ballot would have tested poorly in a formative usability study. The recent WordPress poll, however, would likely have tested well in a usability study to determine whether WordPress users could successfully vote for their choice. The question I have is whether the entries themselves caused a cognitive bias in favour of some entries at the expense of others. More people choose the leftmost image. The brain’s tendency to look for patterns keeps it more interested in the two similar images. The brain’s tendency to avoid the “ugly option” means it’ll prefer the more beautiful one of the two. Research shows that symmetry correlates with beauty across cultures, so I manipulated the centre image in Photoshop to make it asymmetrical, or “uglier”. In addition to these three, which placed 1st, 4th, and 6th overall, it’s possible there were other sets of variations, because other entries may have resembled each other, too. As a usability analyst and user researcher, I find this fascinating. Does the ugly-option rule hold true when there are 11 options? Was the dark-medium-light variation sufficient to qualify one of the three as ugly? Did the leading design win because it was part of a set that included an ugly option? And, among the 11 entries, how many sets were there? Test whether the poll results differ in teh absence of an ugly-option set. A|B testing is useful for this. It involves giving half the users poll A with only one of the dark-medium-light variants, and the other half poll B with all three variants included. You can then can compare the two result sets. If there is a significant difference, then some further combinations can be tested to see if other possible explanations can be ruled out. For more about the ugly option and other ways to make your designs persuasive, I recommend watching Kath Straub and Spencer Gerrol in the HFI webcast, The Science of Persuasive Design: Convincing is converting, with video and slides. There’s also an audio-only podcast and an accompanying white paper. If you’ve ever wondered where exactly on your web site or software your readers or users are looking, eye tracking will tell you that. The eye-tracking equipment emits a specific wavelength of light (invisible to humans) that helps the eye tracker to follow your eyes. As the light bounces off your retinas and back to the eye-tracker’s camera, its software calculates where you were looking, and for how long. Here’s something interesting I learned about myself. When I participate in an eye-tracking study that studies a photograph—such as a full-page magazine ad—I look at all the same places for about the same duration as other participants in the study. I know this because the composite heat map, which combines the eye-tracking data of all the participants into one heat map, looks indistinguishable from my individual heat map. It turns out I’m normal, after all. How to people typically scan a web page (in the F pattern), and what are the implications for layout? How much attention do people give to ads that look like dialog boxes, or to text that has fancy formatting (so may be perceived to be an ad), and what are the implications for advertisers and ad revenue? If you’re interested in eye tracking and usability and want to read more, try Eye Tracking as Silver Bullet for Usability Evaluations? by Markus Weber. Three-quarters of the way through a Five Sketches™ session, to help iterate and reduce the number of possible design solutions, the team turns to analysis. This includes a usability analysis. After  informing and defining the problem without judgement and  generating and sketching lots of ideas without judgment , it’s often a relief for the team to start  analysing and judging the potential solutions by taking into account the project’s business goals, development goals, and usability goals). But what are the usability goals? 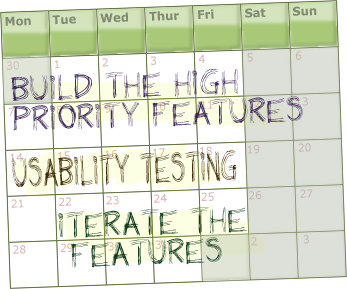 How can a team quickly assess whether potential designs meet those usability goals? One easy answer is to provide the team with an project-appropriate checklist. 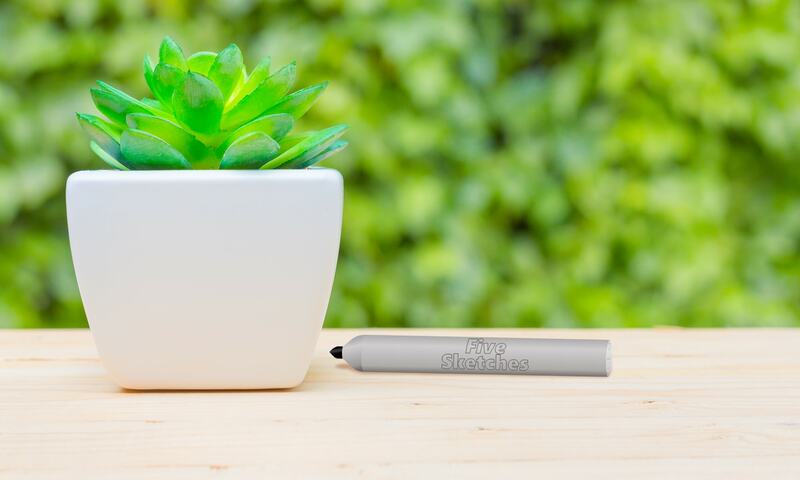 Make your own checklist. You can make your own or find one on the Internet. To make your own, start with a textbook that you’ve found helpful and inspiring. For me, that’s About Face by Alan Cooper. To this, I add things that my experience tells me will help the team—my “favourites” or my pet peeves. In this last category I might consult the Ribbon section of the Vista UX Guide, the User Interface section of the iPhone human-interface guidelines, and so on. “Usability goals are business goals. Web sites that are hard to use frustrate customers, forfeit revenue, and erode brands. Involving users throughout the software-development cycle is touted as a way to ensure project success. Does usability testing count as user contact? You bet! But since most companies test their products later in the process, when it’s difficult to react meaningfully to the user feedback, here are two ways to get your testing done sooner. Prioritise. Help the Development team rank the importance of the individual programming tasks, and then schedule the important tasks to complete early. If a feature must be present in order to have meaningful interaction, then develop it sooner. For example, email software that doesn’t let you compose the message is meaningless. To get meaningful feedback from users, they need to be able to type an e-mail. Developers often want to start with the technologically risky tasks. Addressing that risk early is good, but it must be balanced against the risk of a product that’s less usable or unusable. If a feature need not be present or need not be working fully in order to have meaningful interaction, then provide hard-coded actions in the interim, and add those features later. For example, if the email software lets users change the message priority from Standard to Important, hard-code it for the usability test so the priority is always Standard. If a less meaningful feature must to be tested because of its importance to the business strategy, then develop it sooner. For example, email software that lets users record a video may be strategically important for the company, though users aren’t expected to adopt it widely until most laptops ship with built-in cameras. Sharing the scenarios in advance. Updating them on your efforts to recruit usability-study participants. After developers incorporate your recommendations, retesting and then reporting improvements in user performance. Development planning that prioritises programming tasks based on the need to test, and then allows time in the schedule to respond to recommendations, is more likely to result in usable, successful products. When you’re researching users, every once in a while you come across one that’s an anomaly. You must decide whether to exclude their data points in the set or whether to adjust your model of the users. Professionals who interpret data and use it in their design work. Technicians who mainly enter and check data. A senior technician may do some of the work of a professional user. • Bob received no formal product training. He was taught by his colleagues. Typical of more than half the professionals. • Bob has a university degree that is only indirectly related to his job. Atypical of professionals. • He’s young (graduated 3 years ago). Atypical of professionals, but desirable because many of his peers are expected to retire in under a decade. • Bob moved to his current town because his spouse got a job there. He would be unwilling to move to another town for work. Atypical. Professionals in this industry typically often work in remote locations for high pay. • Bob is risk averse. Typical of the professionals. • He is easily discouraged, and isn’t inclined to troubleshoot. Atypical. Professionals take responsibility for driving their troubleshooting needs. • Bob completes the same task once or several times a day, with updated data each time. Atypical of professionals. This is typical of technicians. I decided to discard Bob’s data from the set. The last two observations are characteristic of a rote user. Some professionals are rote users because they don’t know the language of the user interface, but this did not apply to Bob. There was a clear mismatch between the work that Bob said he does and both his lack of curiosity and non-performance in the usability lab. These usability tests took place before the 2008 economic downturn, when professionals in Bob’s industry were hard to find, so I quietly wondered whether hiring Bob had been a desperation move on the part of his employer. What would be the design implications? What would be the business implications? Would we need another user persona to represent users like Bob?